Things To Do In Hanoi - 4 Day Itinerary - A World to Travel. Hanoi, the capital of Vietnam is arguably the best destination for backpackers traveling through Southeast Asia. 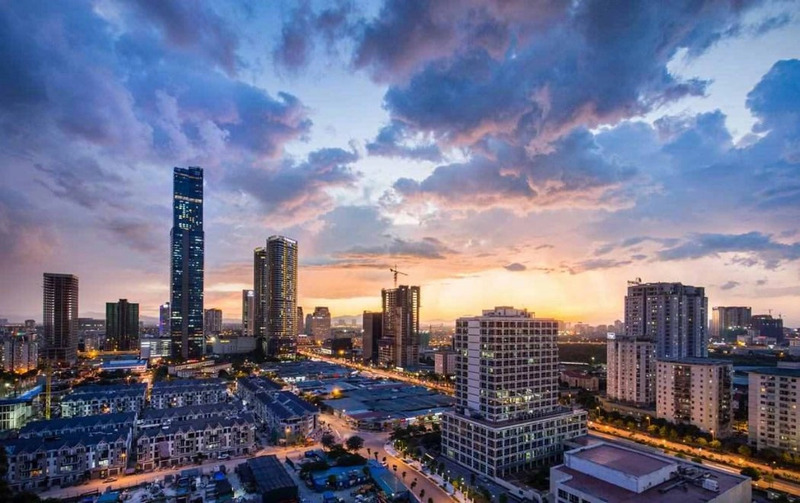 The city has been welcoming foreigners for decades now, tourism is a part of the country’s economy so you’ll find yourself traveling comfortably in Vietnam. If you’re planning a 4 Days Hanoi Itinerary, this article will surely help you! First of all, something about Hanoi. After being colonized by the French for centuries, the architectures in Hanoi had been heavily influenced by the French style, which is unique to this very city. And also, Vietnam is one of the 10 most populated countries in the world! Concerned about safety in Vietnam? Generally, Vietnam is considered very safe for travelers, as long as cautions are taken. If you’re careful, you won’t get scammed and you’ll find most things in this country cheaper than other Southeast Asian countries. Enough talking, let’s dive into this 4 Days Hanoi Itinerary and discover the wonderful city! Are You Ready For Your 4 Days Hanoi Itinerary? For this itinerary, I’ll assume that you stay in Hanoi Old Quarter in the weekends, because that’s the hub for backpackers for tourists. I highly recommend that you plan your stay here because it’s easily accessible to all travel agencies, buses, night market, and attractions in Hanoi. For the currency, US$1 is approximately 23,200 Vietnamese Dong. Most of the stalls will not take dollars, only restaurants, travel agencies, tours, etc take them. If they do, they’ll make it 20,000 VND for 1 USD. My advice? Change some Vietnamese Dong first, paying with US dollars is inconvenient for you and the seller. One of the great things about staying in Hanoi Old Quarter is that you get easy access to the morning street food stalls. Walking on the street, you’ll find numerous local stalls selling all sorts of breakfast. The most famous one would be Pho, I highly recommend that you try that as your first meal. How to pick the best one? Follow the locals! Examine which stall has the most customers, then just walk in and make your order. If you fancy the vibe and environment, I recommend that you have breakfast here every morning. 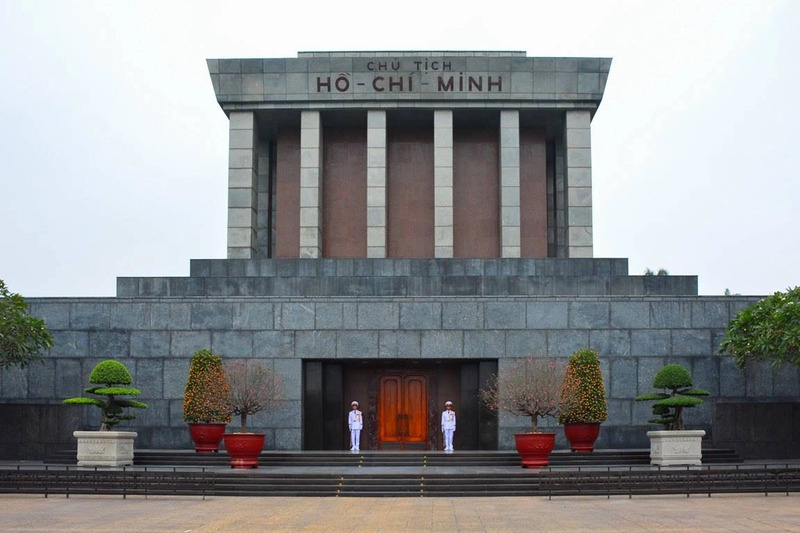 The final resting place of Vietnamese Revolutionary Leader, Ho Chi Minh. Often regarded as Uncle Ho, He is well respected all over the country by the people. I wasn’t a big fan of history but when I got to Vietnam, all the traces and war remains triggered my curiosity toward the Vietnam War. And what if I told you that the Vietnam War is one of the two wars that the US lost? I would recommend walking all the way here from Hanoi Old Quarter after you had your breakfast. Try to visit as early as possible because the tourist crowds will invade the square around noon. You’ll notice a huge square in front of the mausoleum, it’s called Ba Dinh Square. It’s named after Ba Dinh Uprising, an anti-French rebellion back in the 1880s. If the weather is nice, you could literally spend an hour just walking around. There’s also a park for you to spend your time in. On the way to Ho Chi Minh Mausoleum, or on your way back, pay a visit to Vietnam Military History Museum, built around the remains of a crashed jet plane. With reasonable price, you’ll get access to the museum full of war artifact, military vehicles, and planes. The only complaint I had was that there are too few information boards around, especially when it comes to describing the artifacts. However, if there are, most of them are in English so you don’t need a guide to tour around the museum. And it’s probably the best museum in Hanoi, so don’t miss it. During the weekend nights, the main street in Hanoi Old Quarter will be sealed, prohibiting any vehicles from entering. Stalls are being set up in the shortest time possible and the street transformed into a night market in just an hour. The thing about this night market is that it’s so massive that you need an hour to see them all. And like the night market you expected, you’ll find almost anything here – shirts, street foods, gifts, souvenirs and more. You’ll also find some young talents doing shows in the street, performing in a band, for example. Love beers? You could get them for VND5000 ($0.25) each on the street! Sold by locals on stools, with a tank of self-brewed beers by their side. It’s much better than I expected. It’s one of the must-see attractions in your Hanoi itinerary. After your breakfast in Hanoi Old Quarter, head over to Dong Xuan Market, one of the earliest markets in Hanoi. Dong Xuan Market was built back in 1889. Having renovated several times, the market still welcomes hundreds of locals every morning, seeking for the freshest ingredients in town. But what should you do here? As this is a morning market for the locals, you’ll find all sorts of stalls selling literally everything from groceries, shirts, daily appliances, and best of all, street foods in the food court. It’s a perfect place to blend into the locals and experience their way of life in Hanoi. Most of the people here do not speak English, so unless you’re looking for a particular thing, just enjoy walking around. Usually, the Vietnamese will not bother you unless necessary. Built in 1886, St. Joseph’s Cathedral is the oldest church in Hanoi. With more than 100 ft tall, twin bell towers in Gothic Revival style, it’s one of the most beautiful cathedrals in Southeast Asia. Back in 1954, when the Viet Minh took control of North Vietnam, the cathedral was closed down for decades until the Christmas Eve in 1990. Before visiting, check the opening hours, as they will close the gate for lunch hours. It was kinda awkward with a sprinkle of guiltiness when I was visiting inside right before the lunch hours, and the guard was telling me that they’re closing the gate with body language. It took me more than 2 minutes to understand what he was trying to tell me. Since we have our afternoon free, make a visit to Perfume Pagoda, located 60km southwest of Hanoi. The pagoda was built back in the 15th century, making it one of the oldest pagodas in Vietnam. It’s a place where the locals came to pray for a wish come true. The stalactites and stalagmites have been named according to different blessings they can bestow. Touching them will grant you good luck. Like other caves, it’s much cooler inside due to the moisture than the outside. You’ll find all sorts of greenstone statues like Lord Buddha statue and Quan Am, the Buddhist Goddess. From January to April, Perfume Pagoda will be particularly busy due to the Chua Huong Festival. Check out the date before visiting if you want to see the festival! Hoan Kiem Lake is always best visited in the evening, in my opinion. Why? Because on weekend nights, like Hanoi Old Quarter, the street will be sealed from vehicles. Locals will flock into the street and squares and the street transformed into the most happening place in Hanoi. Locals playing guitar on the street, badminton shuttlecocks flying around, people walking their dogs, and all sorts of activities here. At evening, Temple of Jade Mountain also becomes a perfect subject for those who love photography. What about the Temple of Jade Mountain? You can visit at a very cheap entrance fee. Inside, you’ll find a preserved carcass of legendary giant turtle inside an enclosed chamber. If you live in the Old Quarter, chances are you’ll see every travel agency offering day trips and tours to Ha Long Bay. It’s the most visually-appealing natural landscape in Vietnam if you were to ask me. I highly recommend visiting Ha Long Bay here if you’re not planning to stay in Cat Ba Island. You can finish Ha Long Bay in a half day, there’ll be lots of activities arranged for you by the travel agency. The day trip can easily take your whole day, returning to your hostel in the evening. Activities there include kayaking, swimming in the vast ocean, hiking in Monkey Island and some even offer buffet lunch! Due to the competitiveness, you’ll find the price cheaper than you anticipated. Make Ha Long Bay into your Hanoi itinerary! Check out this guide to Cat Ba Island if you’re planning a stay there for several days! Located right beside Hoan Kiem Lake, multi-story Legend Beer is the most popular beer bar in Hanoi, offering the best view in the city over the lake. With the multiple story open-air bars, Legend Beer also serves a different variety of cuisines (mostly Western cuisines) and beers of your choice. Anyway, definitely pay it a visit if you’re looking forward to socializing with other backpackers or getting to know some new friends. Before leaving Hanoi, the one thing you must do is watch the water puppet theatre in Hanoi. It’s one of the best attractions in Hanoi, commencing numbers of shows every day to compromise the demands of visitors. Puppets are controlled by the puppet masters behind the theatre, featuring some stories, legends, and myths. One of the most famous ones would be the Legend of Restored Sword of King Le, related to the carcass of legendary giant turtle I mentioned earlier. The best place to do it? Thang Long Puppet Theatre. But if you plan to buy your ticket several minutes before the show, chances are the tickets are already sold out. Buy beforehand, an hour or more before the show to secure yourself a seat. There are tour groups who came and bought dozens of tickets each time so you don’t wanna risk it. So that’s all I’ve got to suggest for your 4 days in Hanoi itinerary. 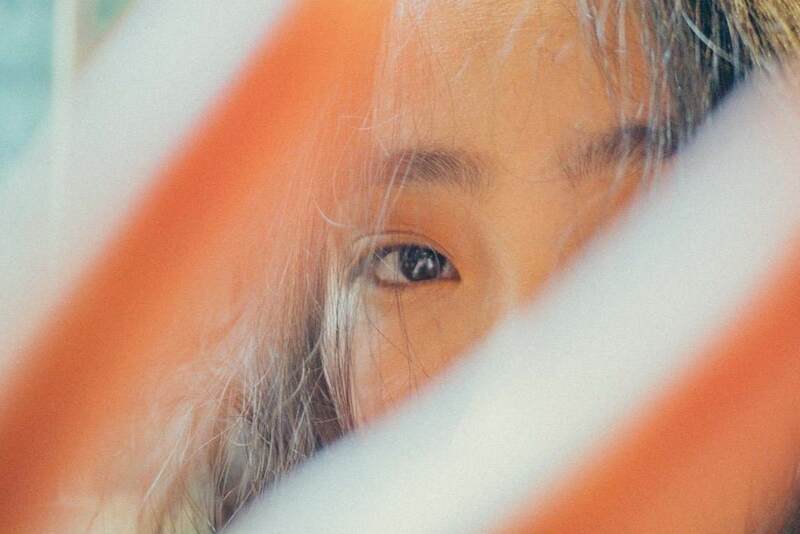 I hope you enjoyed reading it and hopefully, I gave you a hand in planning your trip to Hanoi, Vietnam. Feel free to comment below if you have any questions or comments, I love comments. As usual, be safe, happy traveling and have fun in Hanoi! Yen is a full-time university student who always takes full advantages of his holidays to travel for new experiences. He’s been to New Zealand for Working Holiday before having his road trip, volunteered in Kathmandu, Nepal and exchanged in California along with several backpacking trips through Southeast Asia. Having spent months in foreign countries, he gives in-depth travel tips and guides in his travel blog, Swing Abroad.